Today, dash cams are very important on the roads because it helps to capture the critical momen..
Vimel Dual Dash CameraAre you looking for a simple, compact and entry-level dash cam, if yes then t..
Vimel Motorcycle CameraAre you interested to travel a long trip? Have you experienced the fun i.. The VIM-LUXX4 is the modern and most useful product which fulfils the demands and safety needs for the professional and commercial drivers. The VIM-LUXX4 is designed with the dual lens that means front full high definition and rear high definition. This cam will record the events happens inside and outside the vehicle simultaneously. So this is the best suitable device for Uber, taxi or a bus driver to view the backside happenings. The dual lens will capture the crisp videos in the daytime; the infrared LED’s from the rear lens will adjust the brightness during daytime and helps to capture clarity pictures. This will help the passenger to travel easily and safely. This records will also help you to prove yourself if you met an accident. This will act as the best evidence for police and insurance company. The dash cam also has the GPS feature which helps to save the history of speed, showing time, date and route taken with the google map. This additional information is very useful for any emergency and need for police enquiry, insurance companies. These records will help to save your time to prove yourself. So this device is specially made for uber and taxi drivers. Today, dash cams are very important on the roads because it helps to capture the critical moment during an accident. This record will act as the best evidence for insurance claims and police. The MC..
Vimel Dual Dash CameraAre you looking for a simple, compact and entry-level dash cam, if yes then the mini o801S dash cam is suitable for you. It can record 1080P full HD resolution pictures. 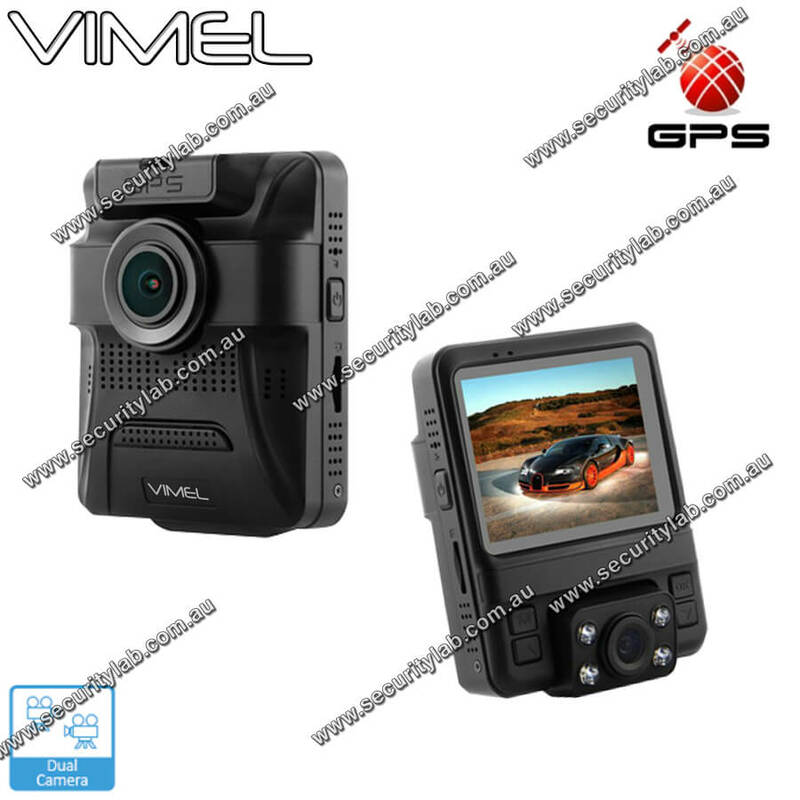 The G-..
Vimel Motorcycle CameraAre you interested to travel a long trip? Have you experienced the fun in the travel? But facing lots of issues while traveling? If your answer is yes, then the Vimel Dual DVR..
Dual Camera Recorder 1080P for Motorbike.This motorbike camera is everything you need for gathering proof and evidence on the road, you may be caught up by a police officer and pay the fine, but ins..
﻿Vimel Dual Dash Camera with GPSThe true high definition will help you to watch the stored footage up to 1080p resolution video and up to 12MP images. 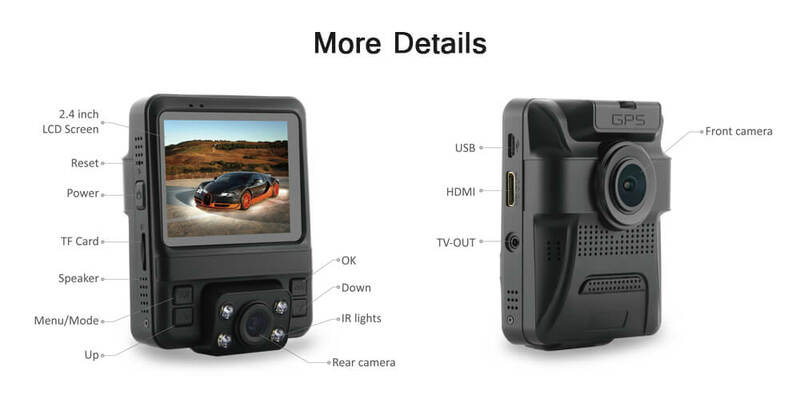 You can view images in 4.3” LCD screen wit..
Vimel Dual Dash Camera delivers crystal clear video quality This dash camera setup is a perfect combo for your car, you may want it for personal use, Uber driving or for transportat..
Everyone likes to travel without having any disturbances. When compared to the motorcycle, the car is the most preferable to avoid wind issues and also having lots of features in it. Some of them no..